When looking for a good wig it's often difficult to find just the right colour. You might want to match a wig precisely to the colour your hair used to be, or you might want something a little more unusual or glamorous than you can find off the shelf. Never fear – once you know what you're doing, you can dye a wig practically any colour or shade that takes your fancy. The easiest types of wig to dye are, naturally, Real Human Hair Wigs, which you can treat just as you would hair growing on your head. You should be careful to avoid dyes that contain bleach, however, as they make hair more fragile and can shorten your wig's lifespan. Because you shouldn't wash your wig as often as you would wash your own hair, dyes will take longer to fade. All types of synthetic wig can be dyed, but in order to have full control over the colour you get, it's best to start with a white one. If you choose a wig slightly longer than the style you want, then Cut It To Shape, you can use the trimmings to test your dye. Alternatively, buy a cheap low-quality wig for testing – although they don't look as good, wigs like this are made of the same materials as better ones. The simplest way to dye a wig is to use ordinary hair dye. On a synthetic wig, though, this won't always have the results you might expect. For a start, it will usually turn the wig a darker shade than it would turn hair. If the dye you like is available in a range of shades, choose the one you like and then buy the version one shade lighter. Because synthetic fibres behave differently from natural hair, using ordinary hair dye on them can also turn them a reddish colour. You can buy special dye additives to help prevent this. If the shop where you buy your dye doesn't stock them, try your local fabric supply shop. Natural dyes won't last as long on a synthetic wig as they do on natural hair, even if you're washing the wig less often. 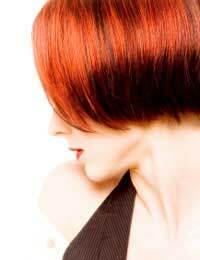 An easier way to get precisely the hair colour you want is to use acrylic paint or acrylic ink. The former can give you a wider colour range but has to be applied very carefully and can easily result in clumping, making the wig look very artificial. The latter is much easier to use effectively and is also available in metallic colours. You can buy both from your local craft shop. Because real hair wigs require a lot of care, dye should never be rubbed into them as you might have rubbed it into your own hair. Instead, it's better to soak the wig and then smooth the dye into the hairs with a soft brush. Make sure you hang the wig in a natural position before and after rinsing the dye out, to avoid streaking. If you're dyeing a wig using acrylic paint, buy a small tub of paint (you really won't need much of it), put a pint and a half of warm (not hot) water into a bowl, and add the paint a drop at a time, stirring thoroughly. All acrylic paints can be mixed without problems, so you can experiment to get the right shade. When the mixture has a soft, melted plastic texture, you can start brushing it into your wig. You will need to keep combing the wig as you add the dye, to keep it from sticking the fibres together. Once you've finished, let it dry for three to four hours, combing as required, and then rinse it in cold water. Acrylic inks don't mix well with water but work well when dissolved in rubbing alcohol. You'll need a bit more than you would using paint, but you'll still have plenty to spare from one of the small jars in which they're usually sold. Brush the mixture gently into your wig and then leave it to dry as before. It may become very dry and crinkly, but brushing will fix this. Rinsing and gentle washing will get rid of any lingering smell of alcohol. The techniques described above can also be used to add streaks or highlights to your wig. Streaking often helps to make a synthetic wig look more like natural hair. Once you've had a bit of practice, you'll find the possibilities are endless! To ensure your wig is kept in the best possible condition, read our articles How Often Should You Wash Your Wig? and Styling Your Wig. @Jammie. I have a friend who wanted her dark hair to have blonder streaks. Her hairdresser suggested a pre-lightener to strip the natural colour and then a blonde dye for the highlights. That said, it didn't look that blonde at the end of it (more a chestnut/ginger shade) either. Your best bet is to take it to a hairdresser.